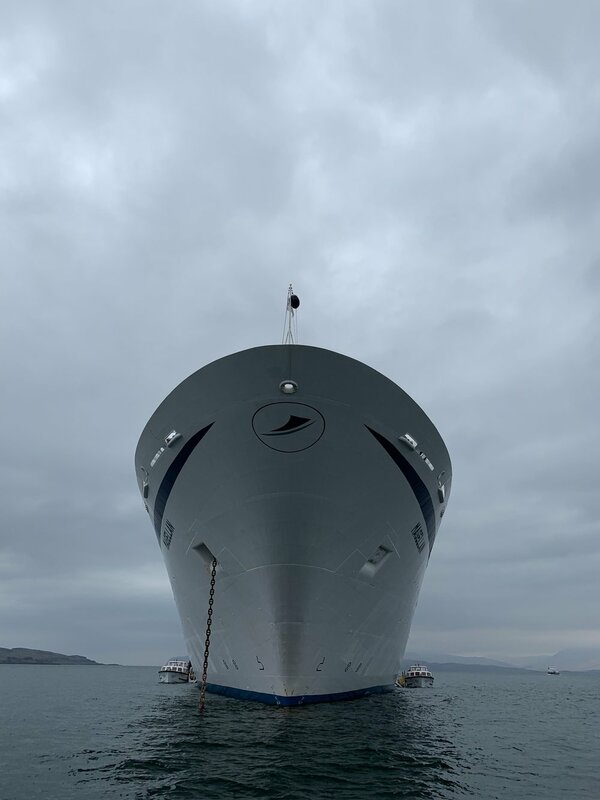 The first of many cruise ships turned at Oban last weekend. The weather was very calm and settled. The boys had a couple of large groups out for a run. They ran the popular 2hr Castles & Wildlife trip. The eagles were seen soaring in the Sound of Mull and red deer on the skyline. Always good to see the buzz about Oban when the cruises ships come in.